Makes Bikey both easy to find and delicious-looking at the same time. 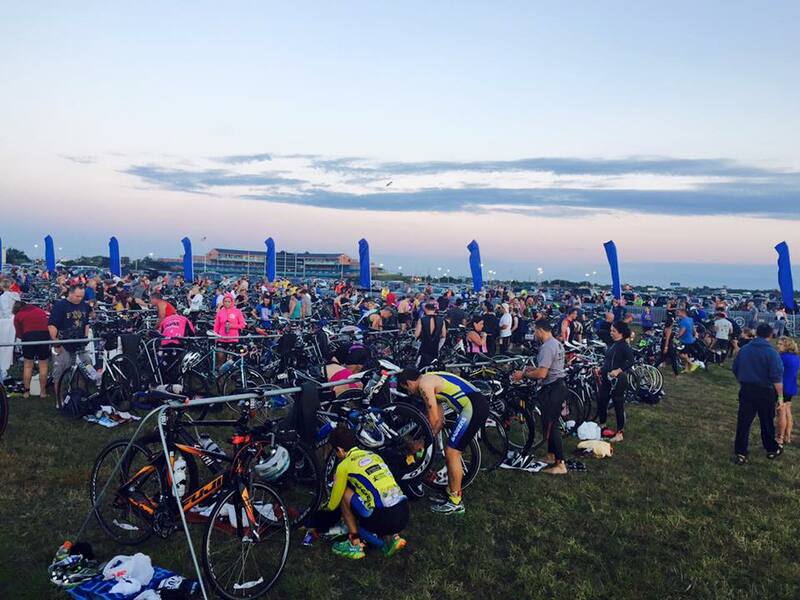 Also, THE ATLANTIC CITY TRIATHLON!!! Which thankfully had great weather. However, the day before was really windy. Miraculously, it all fit under his swim cap. And everyone enjoyed running on the Boardwalk! Well, some people ran, while others strolled. I pay people to do the running for me. And riding on the Atlantic City Expressway was thrilling! We didn’t even have to pay the tolls! All right. Enough with the Trump silliness. We get enough of that in the real world everyday. 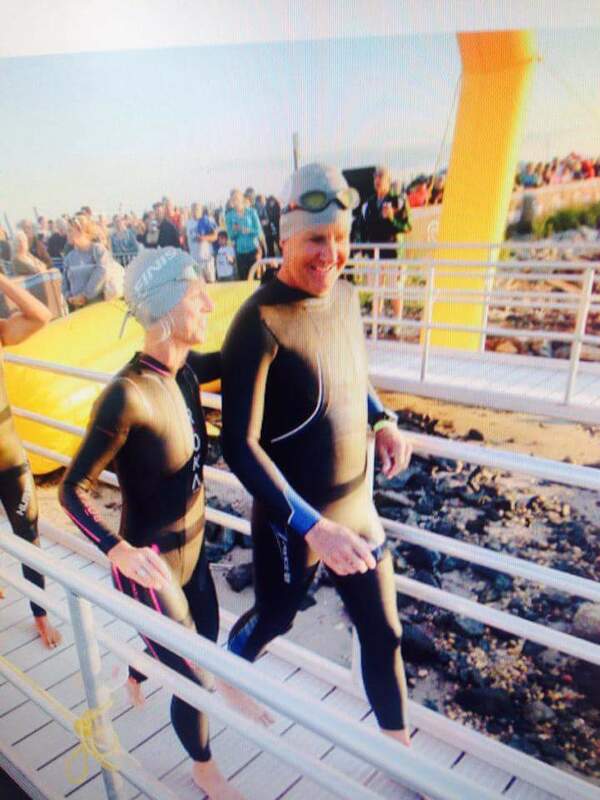 I think this was the fifth annual AC Tri. Mr. Delmo, feel free to correct me. The race was formerly held in September, but was moved to August this year. The weather for Sunday, August 9 was absolutely ridiculous. Clear skies, low humidity, and no wind. 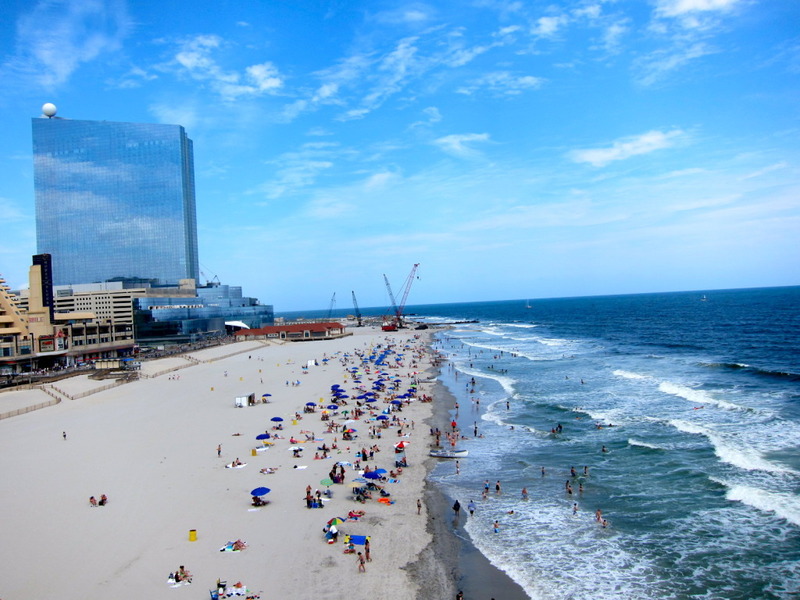 The water was the perfect temperature with minimal current, we had a little tailwind on the expressway heading back into AC, and the boardwalk was springy under your feet. Here are some great early morning shots by Marky B’s most talented photographer/wife, Shauna. The race is held at now-defunct airport, Bader Field. Bay swim in salty water. My favorite kind of water. 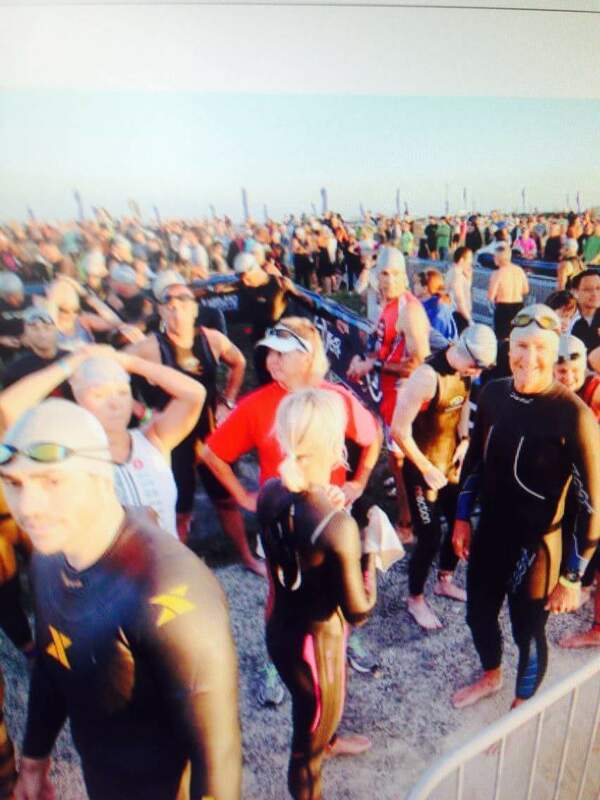 If you’ve never raced AC Tri, you are really missing out. 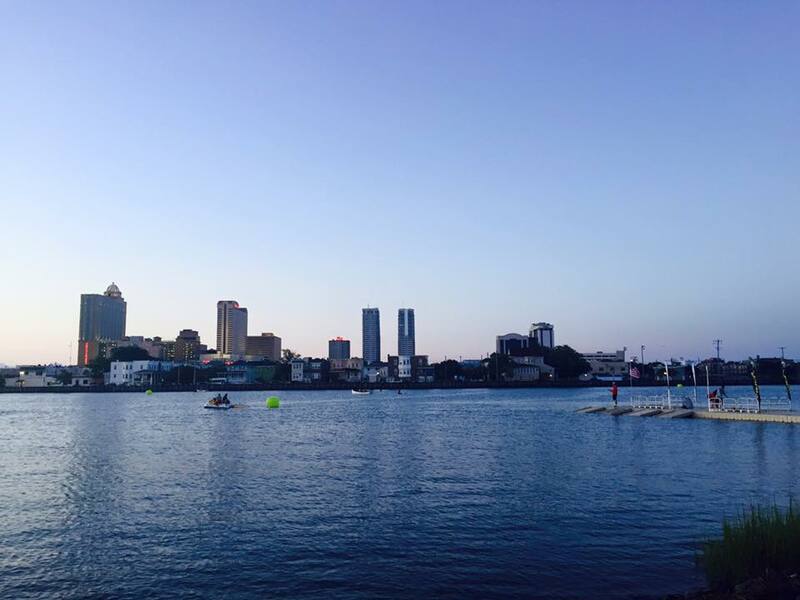 This race is all about the uniqueness of the setting. You arrive to Bader Field in early morning darkness to the glow of the Atlantic City skyline. Then, the sky turns fifteen shades of pink as the sun rises over the Atlantic Ocean. A rolling swim start means that everyone starts when they want and swims with plenty of space. On the closed bike course, we actually have our own lane on the Atlantic City Expressway. 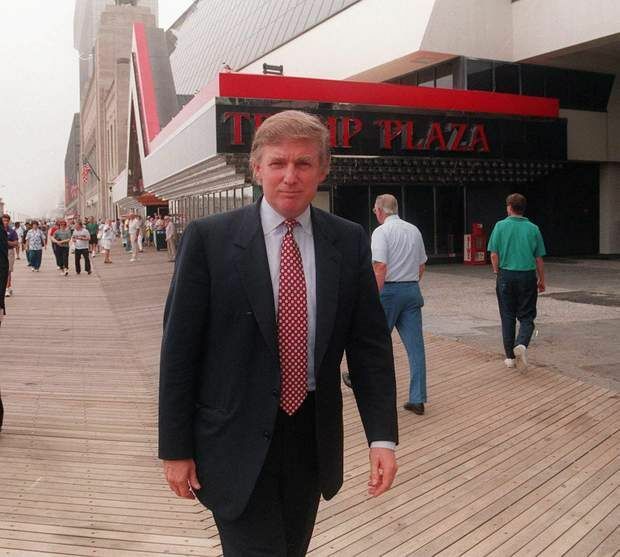 And the run on the world famous Atlantic City Boardwalk just can’t be beat. Add to that the regular “Delmo” experience: great finishers medals, phenomenal volunteers, a Jamie del Monte breakfast feast, and free beer. 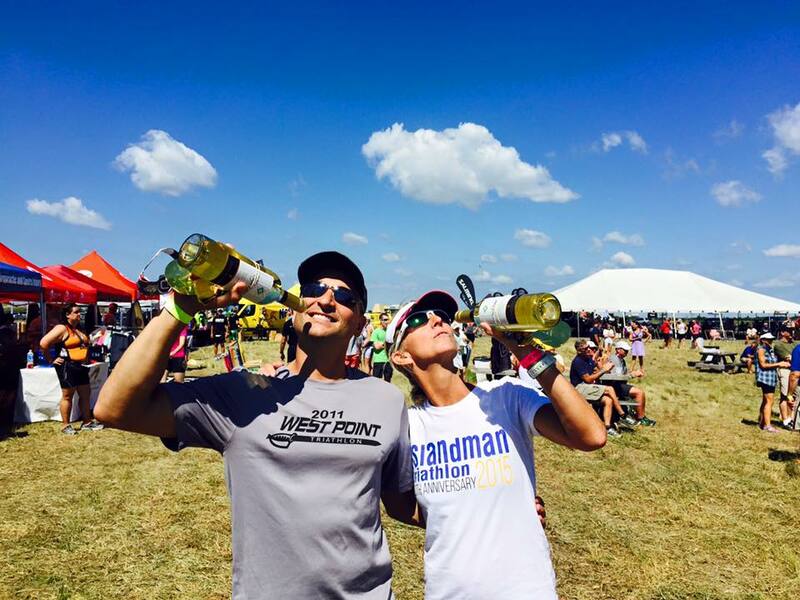 Put this race on your list for 2016! Our team was small this weekend, as several teammates were eating cheese and taking names at USAT Nationals in Wisconsin. The Sea Bonster and I raced the Sprint, while Mrs. Donovan raced the International. The Jelly Bean and Susie Pick Up were there in a working capacity. Wow. The team has a lot of friends. Special congratulations to Jordan, who broke both hands in a gnarly crash two years ago. She told me that she raced “fear-free” for the first time since her crash. She demolished the field. Great job, Girlfriend! Onto Worlds in Chicago! Mrs. D, explaining to Vaughn that she will most likely draft him for the entire swim. Susie Pick Up (red shirt) keeping us all safe from jellyfish at the swim start. Jordan on the female OA podium. She won wine and new Salming running shoes. Ah, to be fast…. Me, chatting with the Vitargo boys. Imma be trying it as I ramp up my Bassman training. Of course, you’ll read all about it here. I’m not going to lie to you. Getting on the podium is fun. But if someone told me today that I’d never get on another podium again, I’d still show up. Because the real fun is about the people. 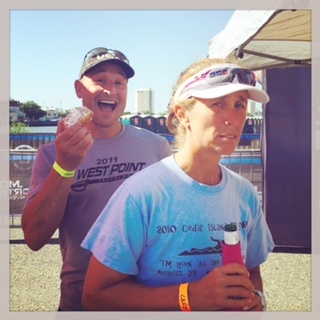 If you photo bomb someone at a race while eating a donut, you get double points. Everyone knows that.